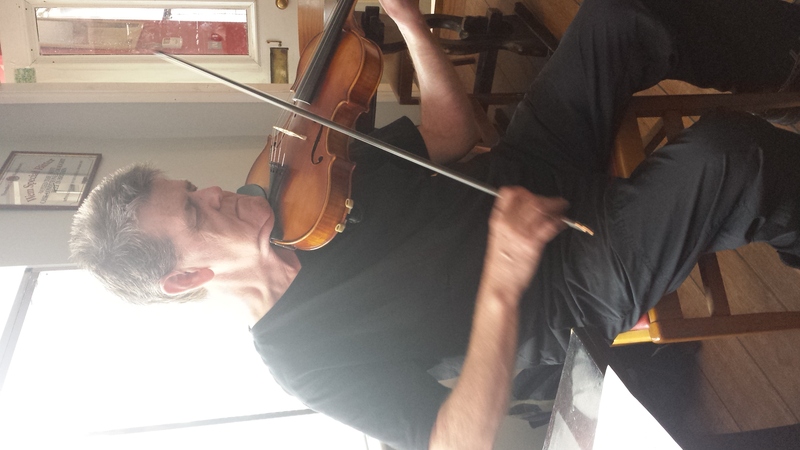 Friday lunchtime will see me heading off to my first Fiddle Hell taking place in Buxton, Derbyshire. I'm thinking about my lack of playing and practice over the last 12 months, but as it is supposed to cater for all levels I'm sure it will be fine, and certainly a hoot. I shall be meeting Mr Jim (known as Worldfiddler) to many on here, so that is going to guarantee plenty if mischief and fun. I will hopefully post some photos and recordings when I get back. Best of luck to you Terry! I am jealous you get to fiddle with Mr Jim. I am hoping to make it to the Kansas Prairie Pickin' Party this evening, but it is raining right now and supposed to rain for the next six days (it is an outdoor event). If I hadn't promised my kids to go to the amusement park this weekend I would try to make the Saturday event. I have wanted for several years to make it to hear "Jed Zeppelin" play. I am holding you to your promise - I want to see you and Mr Jim in action together, preferably fiddling and not other mischief. GO FOR IT TERRY ! Have a great time ! Have a great time, @TerryT ! I'm sure you will if it's anything like Fiddle Hell Massachusetts. Speaking of which, it would be soooo cool if you, Mr. Jim @Worldfiddler and a bunch of other Fiddlerman members could make it to Fiddle Hell Massachusetts in November. (I know that Mr. Jim has been an instructor in past years, though not since I've been attending). We could have a Fiddlerman jam and get together there. Please, please everyone...put it on your calendar, save up for the trip and head on up, down or over to Westford, Massachusetts, November 6-8, 2015! Click here for more info. Can't wait to hear all about it, Terry! I hope Terry has a better time than I did last night. Once my cherry jam was finished and jarred up, I was ready to head over to the Pickin' Party. Unfortunately, the skies opened up and dumped a couple of inches of rain over the course of about 15 minutes or so. Thank goodness I didn't have Madame out in that! Mr. Jim and Terry - you two need to have some extra fun to make up for the fun I missed. Very cool that you guys hooked up. Did you play together? Eat together? Drink (party) together???? That is one cool thing about this forum, IMAO.